Please appeal to stop the neutron radiation attack by the police in Japan. It is true that I am bathing in the irradiation of the neutron radiation caught with neutron radiation dosimeter (PDM-313) and gamma rays and neutron radiation detector (Neutron RAE2). Moreover, it is shown to have received the exposure injury in the electrocardiogram meter, diarrhea, and the cataract, etc. Is there man on whom the neutron radiation keeps being poured for five months or more every day? A secret activity of the police in Japan is taboo, and the administration, the mass communication, and the lawyer never take up my damage. 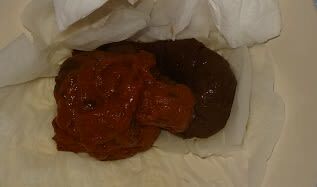 I am exposed to the danger of the life as the myocardial ischemia, the aortic regurgitation, and the kidney function decrease greatly now, too. The neutron radiation is poured by the police in the crisis every day. Moreover, my wife also has received the exposure injury. A lot of patients, civilian, the doctor, the pharmacist, and the worker are bathing in the neutron radiation while it doesn't know because the police have irradiated the neutron radiation in the hospital, the drugstore, Shinkansen, and the roadside station, etc. This tragic situation cannot be stopped domestically in Japan. Everyone who wish the peace and safety in the world must tell the world a tragic situation in Japan widely. And, please appeal to stop the violence that the police add in Japan. Nuclear power generation in the nation where the police groundlessly pour the neutron radiation on the people cannot be safe. A Japanese crisis is to connect with the crisis of everyone in the world. I am expecting support of everyone in the world. 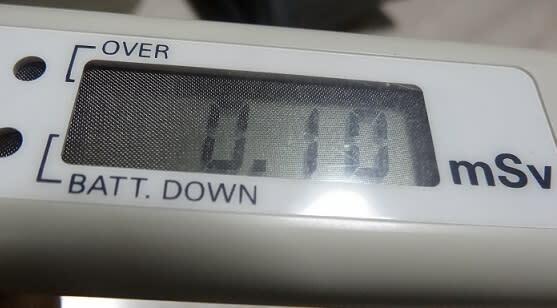 The value that the neutron radiation dosimeter indicates is small. This is because of being constructed as this dosimeter shows a small numerical value. 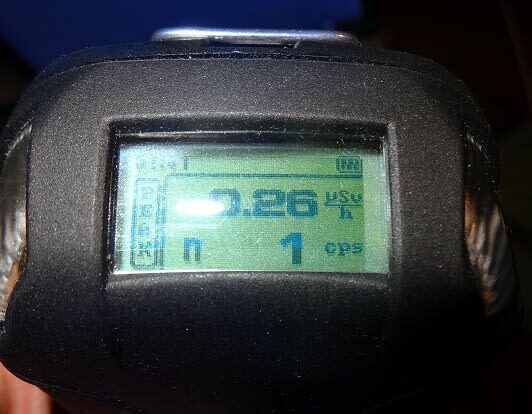 However, it seems that this dosimeter has the ability to catch the neutron radiation. Because other detectors which the neutron radiation is caught catch the neutron radiation. 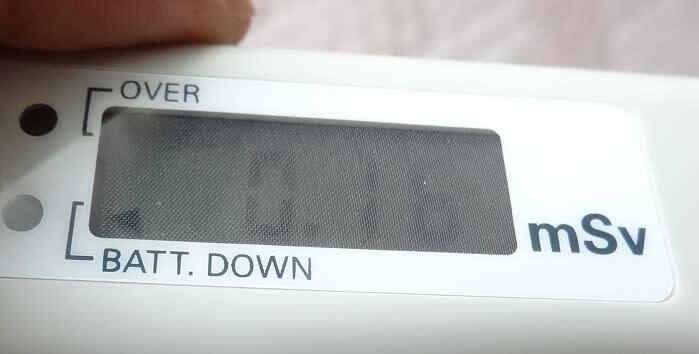 Moreover, when gamma rays and the X-ray detection meter indicate a usual value in the tent that can prevent the electromagnetic radiation, the exposure injury (It is shown in the electrocardiogram meter) that I receive at this time is due to the neutron radiation. And, I suffer from diarrhea and cataract that often happens because of the radiation. It is certain that the neutron radiation is irradiated to me like this. Moreover, it is shown that my wife has received the exposure injury in the electrocardiogram meter. 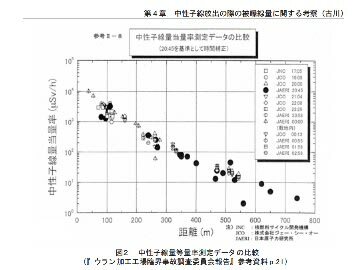 The exposure accident by the neutron radiation has occurred in Japan in the past. At this time, many residents and workers were exposed. The neutron radiation gives the exposure damage to surrounding people like this. Therefore, the attack that uses the neutron radiation to me、 seems　to give damage　to a wife and a surrounding resident. I told it to the police that the neutron radiation exists at home and give the exposure damage to the wife and me. If the crime exists, the police have the obligation to manage the crime. However, the police do not investigate, and do not control the crime. And the attack to me just intensifies. The criminal refrains from the attack to avoid the investigation of the police when the police learnt the crime. The intensification of the attack to me means the person who investigates is attacking me. A secret activity of the police is taboo in Japan, and touches no one. Therefore, no one is stopped in Japan even if there is a crime that uses a very dangerous radiation of neutron radiation. For you in the world, please tell my damage to the news organization in each country,　and, please appeal to be able to take this up. Japan is giving the world the trouble in the Fukushima nuclear accident. The world should gaze how Japan handles the radioactivity. The nation that unabashedly pours the neutron radiation on the people should not be able to handle the radioactivity safely. I would like you all over the world to learn that. And, please let me stop the act of pouring the neutron radiation on the people. To defend safety of you in the world, attack that uses the neutron radiation by the police in Japan should make it stop. It is true that I am bathing in the irradiation of the neutron line caught with neutron line dosimeter (PDM-313) and gamma rays and neutron line detector (Nuetron RAE2). 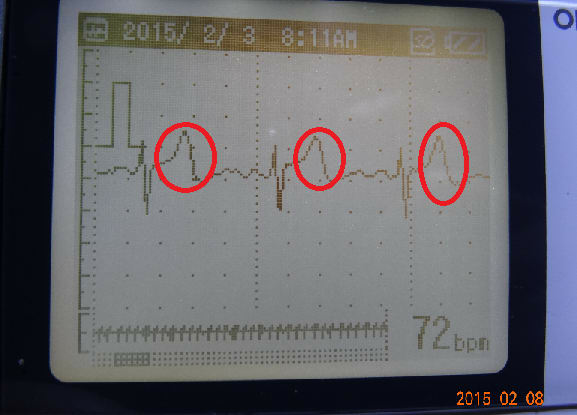 Moreover, it is shown to have received the Cab injury in the electrocardiogram meter, diarrhea, and the cataract, etc. Is there man on whom the neutron line keeps being poured for five months or more every day? The neutron line is poured by the police in the crisis every day. Moreover, my wife also has received the Cab injury. A lot of patients, civilian, the doctor, the pharmacist, and the worker are bathing in the neutron line while it doesn't know because the police have irradiated the neutron line in the hospital, the drugstore, Shinkansen, and the roadside station, etc. This miserable situation cannot be stopped domestically in Japan. You who wish the peace and safety in the world must tell the world a miserable situation in Japan widely. And, please appeal to stop the violence that the police in Japan add. Nuclear power generation in the country where the police groundlessly pour the neutron line on the people cannot be safe. A Japanese crisis is to connect with the crisis of you in the world. I am expecting support of you in the world.